Here are some photos that we took at the Balluminaria in Eden Park on Saturday. I absolutely love the reflection of the balloons in Mirror Lake. All photos were taken on our iPhone 4’s. Who says a rivalry needs to be bitter? It’s fun to watch the two greatest tennis players in the world giggle like school kids while shooting a commercial for an exhibition match benefiting Roger Federer’s Foundation. Who says a rivalry needs to be bitter? 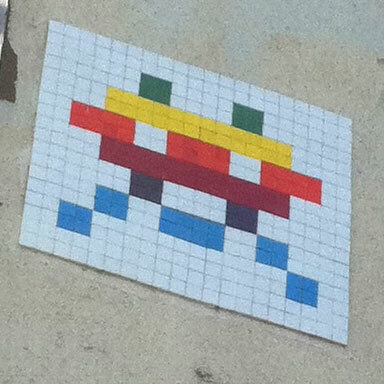 I saw my first Space Invader street art in NYC and it’s Apple logo colored! I love how it’s clearly not meant to be there, but innocent enough to be allowed to remain. 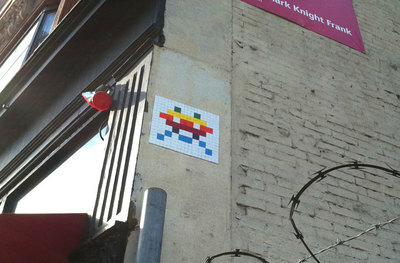 Check out ?Jonathan LeVine Gallery for Space Invader’s incredible Rubik’s Cube Art. Miniature works of art on Post-It notes! Beautiful! 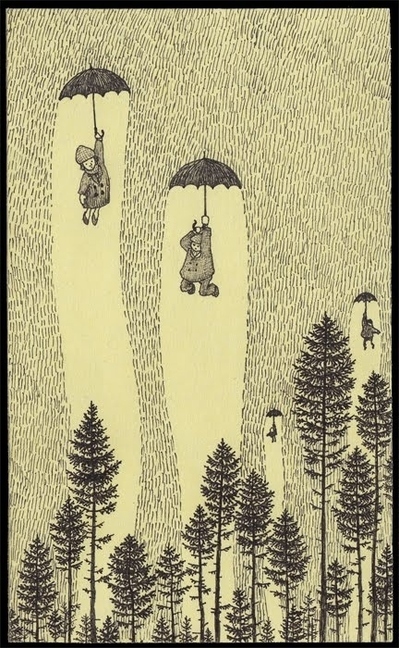 More works in the link. McGurk Effect- you can’t trust your eyes. My cousin Matt showed me this fascinating video about the McGurk Effect. You really can not always trust what your eyes are telling you. 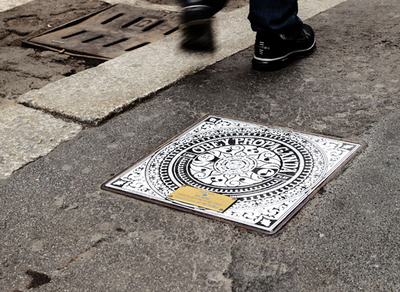 Manhole covers designed by street artists, Shepard Fairey, Space Invader, and others. What a great way to display art. I would love one of these hanging on my wall! Many more pictures in the link. It strikes us that this presages what could very well happen in the 2012 Republican primary, except Bristol Palin will be Sarah Palin, and the “judges” will be the vast majority of Americans who don’t think she’s qualified to be president. “Harry Potter” actress Emma Watson said that for years she had no idea how much money she was earning from her role as Hermione Granger in the hit movie franchise, and that she felt sick when she finally realized. This thing looks ridiculous. 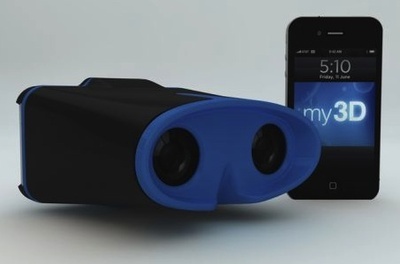 You can take your sleek iPhone 4 and turn it into a clunky View-Master. An interesting story about a 7-foot, 250-pound 14 year old boy from India who’s future may be in the NBA.